Your medical alert system is active 24 hours a day, every day of the week. You have access to fast help whenever you want it and as soon as you need it. Once you press the button on your alert device, a dispatch employee contacts family members, friends, or emergency personnel, depending on who you need to come and assist you. Of course, you must identify the family members, friends, ambulance company, fire department, physician, and police department that should be contacted when a need arises. Not everyone will experience a life-threatening fall this year, but the peace of mind that you or family members get from having a medical alert system is worth the minor expense associated it. As more and more seniors become aware of friends who have fallen, their level of confidence begins to waver. This type of situation can lead to the fear of doing any physical activity that poses a minor risk of danger. As seniors begin to limit their activity due to the fear of falling, their muscles atrophy. As a result, they experience a decline in mobility. This lack of physical movement might also affect their ability to keep their balance. As a result, the likelihood of falling increases. However, the knowledge that assistance is only a button away provides the peace of mind that allows seniors to have an active and physically healthy lifestyle. Once you set up your medical alert system, you can relax and rest easy. You won’t need to do anything else unless you want to change one or more of your contact individuals. 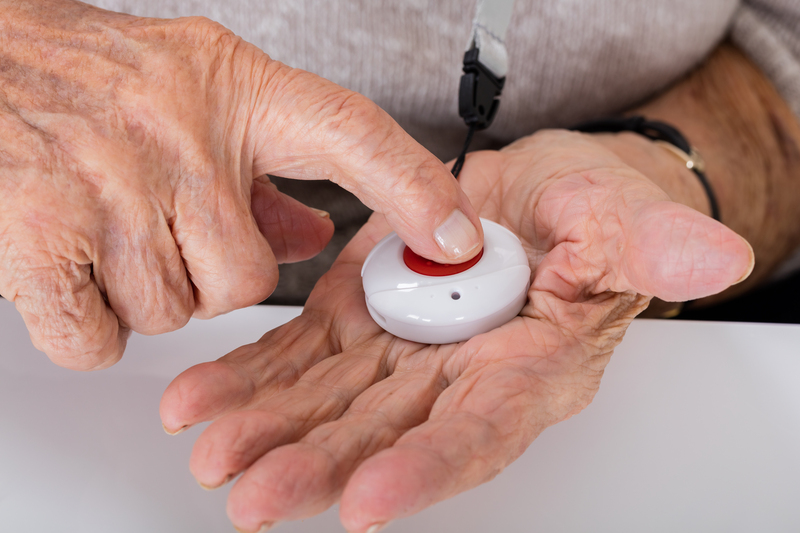 A medical alert system is easy to use, which is a particularly important feature for seniors who might have minor disabilities. With the single push of a button, a line of communication is opened between the individual and an employee of the medical alert company. Seniors who are bed-ridden can make use of their system directly from their bed without having to worry about reaching for a phone. They don’t even need to memorize a phone number to call because the system uses a one-touch calling method. Due to instant accessibility of medical help or family assistance whenever they need it, seniors are able to stay within their homes longer, putting off relocation to a retirement home or assisted living situation. They have access to support services through a system that is easy to use.